Spring is a wonderful time of year in the Cornish rock pools, although like all things British, it’s hard to predict when it will arrive. This time of year, the fish are moving inshore to lay their eggs. In many common shore species, the male stays close by, protecting the eggs until the baby fish hatch. 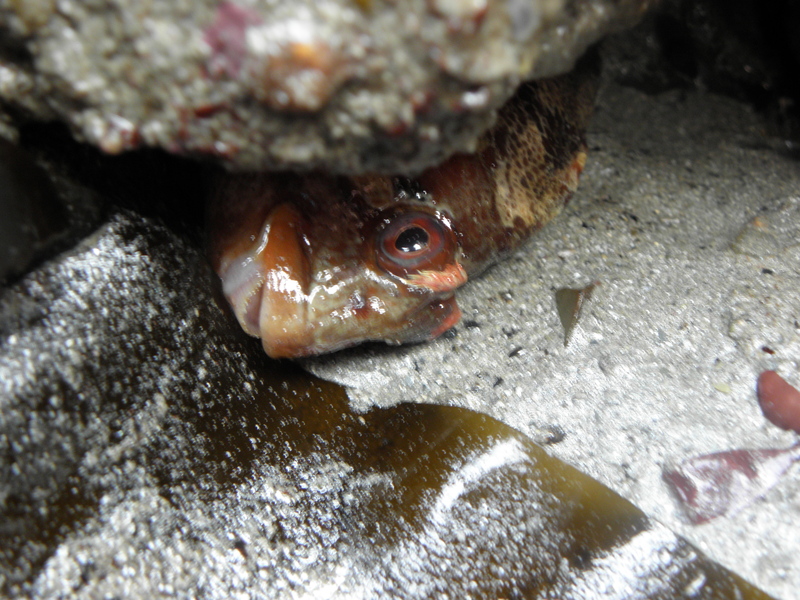 Blennies, in particular, are frequently found hiding among the rocks, close to their precious broods. 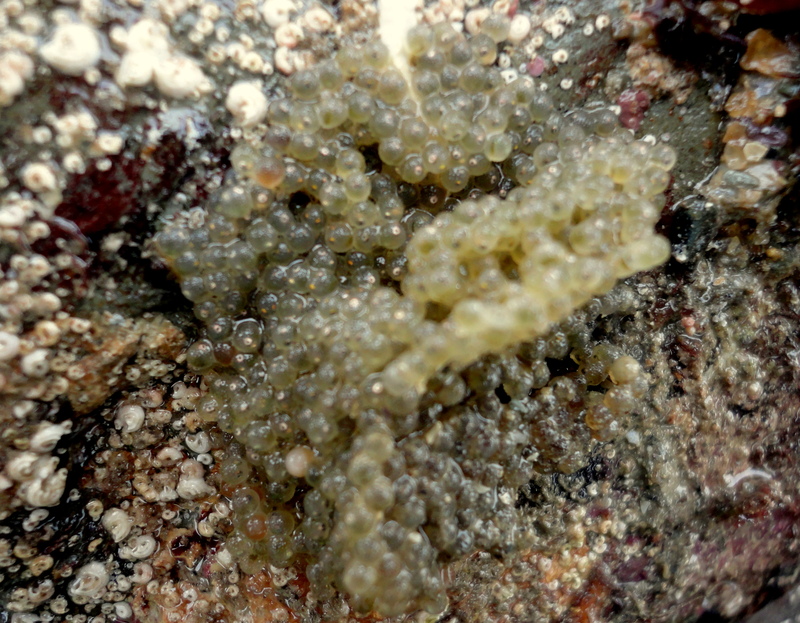 Fish eggs under a rock. Inside, lots of tiny eyes look back at me. 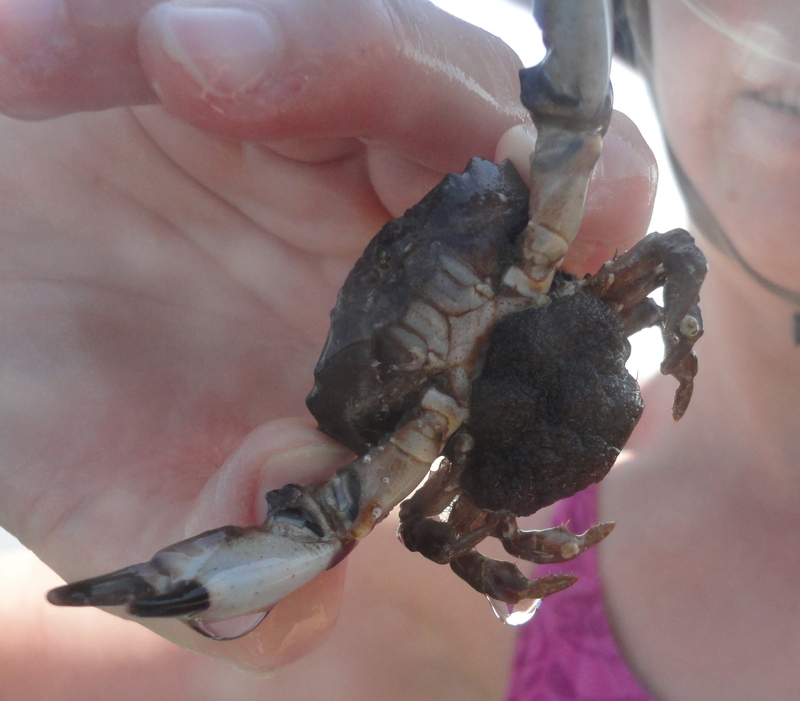 Many crabs too are ‘in berry’, tucking their clutches of eggs under their wide tails. Some unlikely candidates join the migration to the shore. Sea slugs, if anything, look even less fit for travel than their terrestrial counterparts with their delicate bodies that become shapeless out of water. Yet, migrate they do and in the spring they appear from nowhere to lay their eggs. 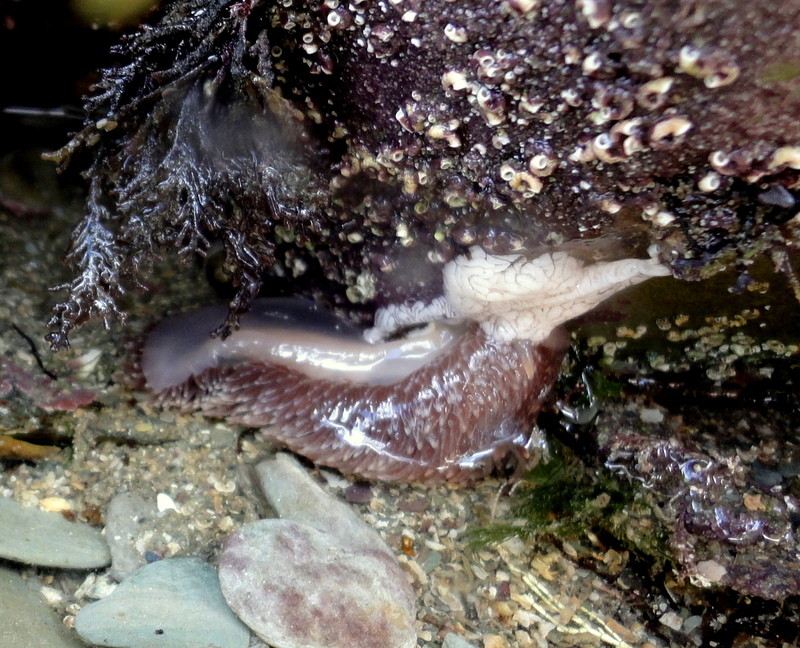 The spiral jelly eggs of sea lemons and the grey ‘sheep’ slug adorn the undersides of rocks and overhangs. A great grey sea slug laying eggs. 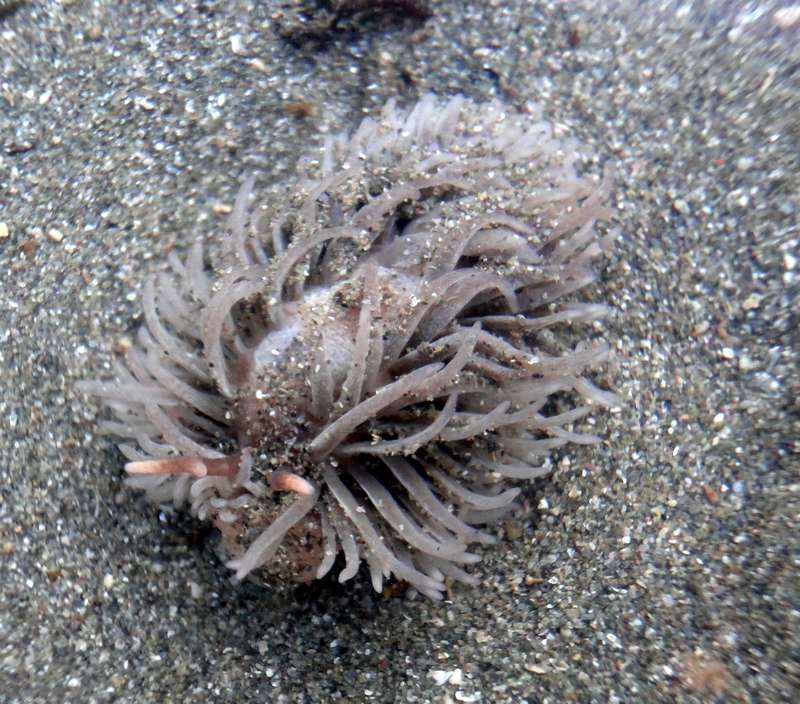 This one is red tinged and has probably recently eaten an anemone. 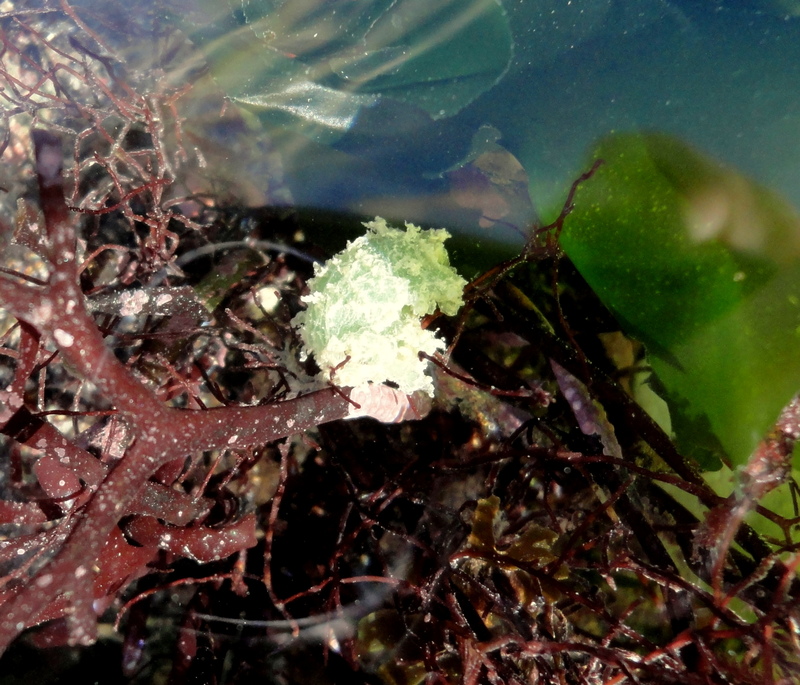 The first sea hares are also arriving and soon the lower shore will be covered in their tough tangles of pink egg-strands, making the shore look as though someone’s gone around spraying it with silly string. 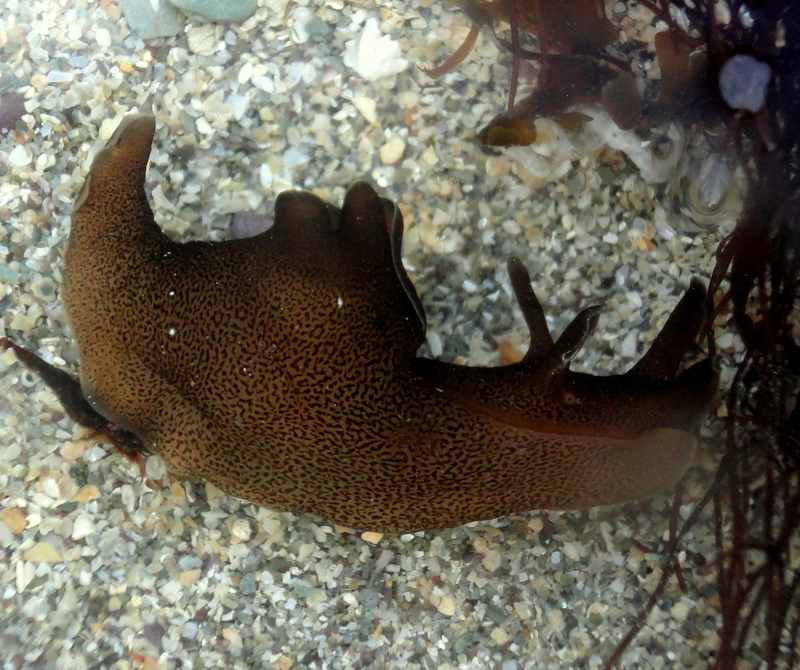 A sea hare arrives on the shore. 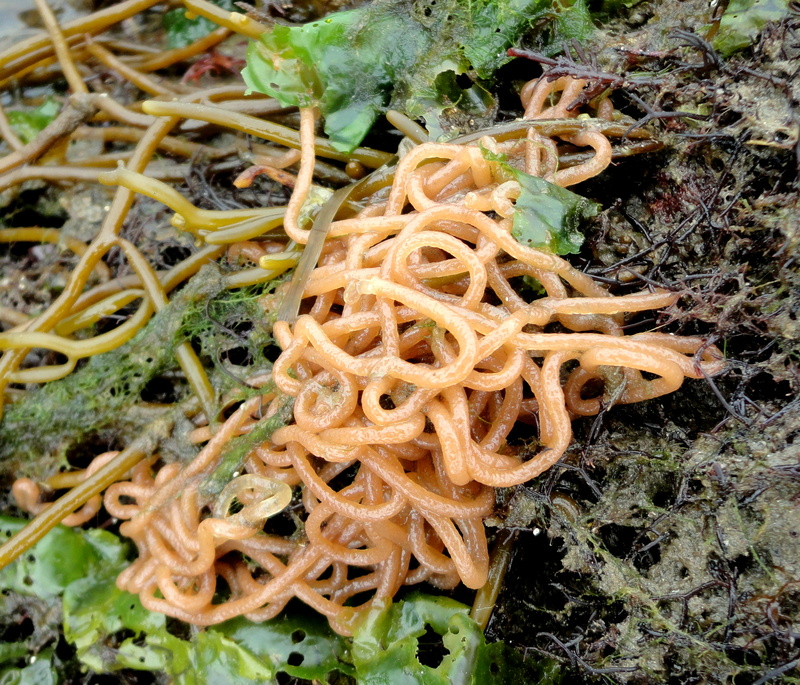 Not to miss out, even the worms are laying eggs. The ‘snotworms’, as we know them, are out in force laying their mucousy green eggs on the sand. I understand these are thought to be the eggs of the green leaf worm or others in that family. By the next spring tides, the pools will be bustling and the seaweeds sprouting. Summer’s around the corner. Reblogged this on nik hubbard.